Finally we are revealing our laundry room makeover! We (the DIY rookies) could have never guessed that we could make something so ugly into something so pretty! Just look at our new laundry room! I truly enjoy doing laundry now, heck everyone in our household wants to do their own laundry now! Woohoo! 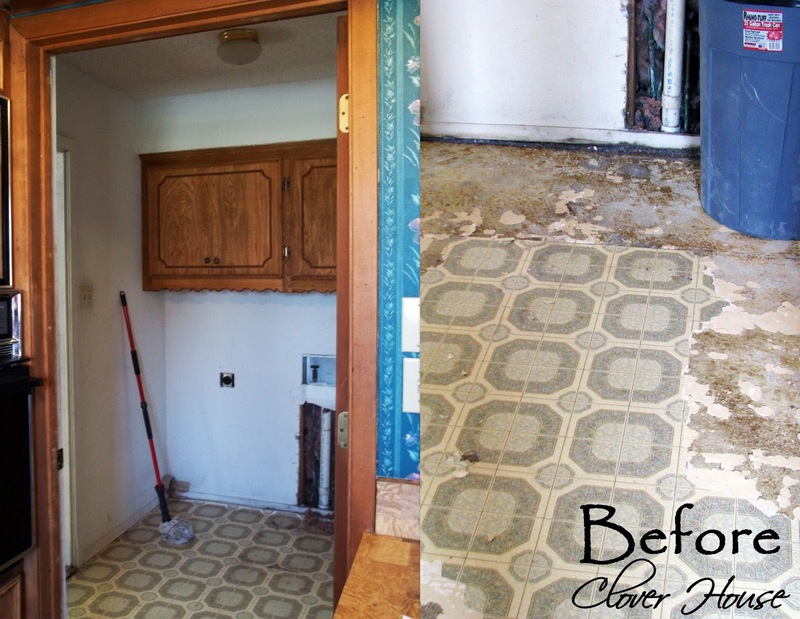 With doing this tiny room makeover, we feel like now the other remodeling we will be doing in our home will be easier than we first expected. This is what our laundry room looked like when we first moved in. Yuck! It doesn't even look like the same room any longer. Good thing huh? Since I'm the one who does most of the laundry in our home, I added my favorite color in here. Red! Just a little, not too much. This rug is so yummy I could seriously take a nap on it. You can see how we did the floor HERE. My guy built the cabinets himself. The counter top is the only store bought piece to the whole set up. You can see more details HERE. 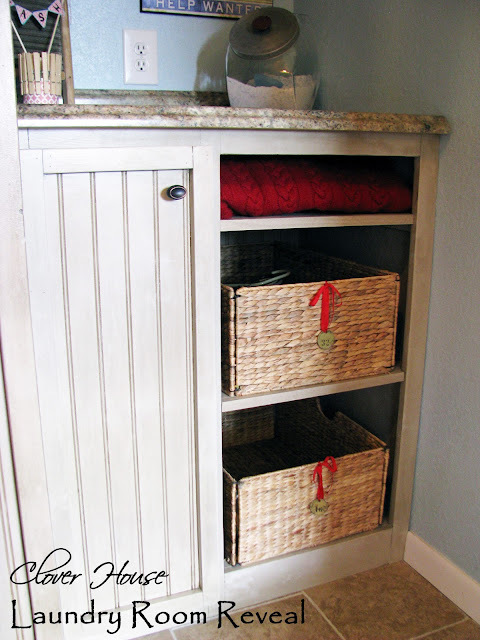 We searched high and low for baskets that we use for storage and finally found them at Lowe's. 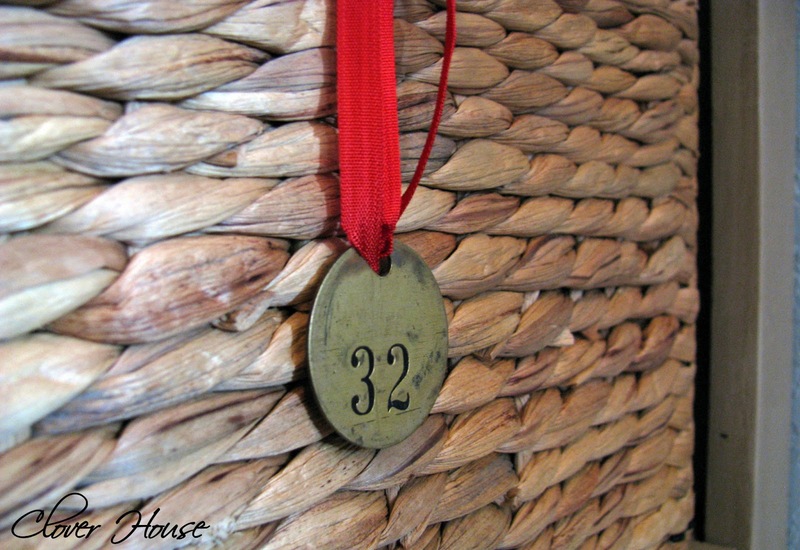 I found these old laundry tags on Etsy HERE and added them to the baskets with red ribbon and just for fun the tags have each of our ages in the month we completed the room. I also found this old glass candy jar on Etsy HERE. 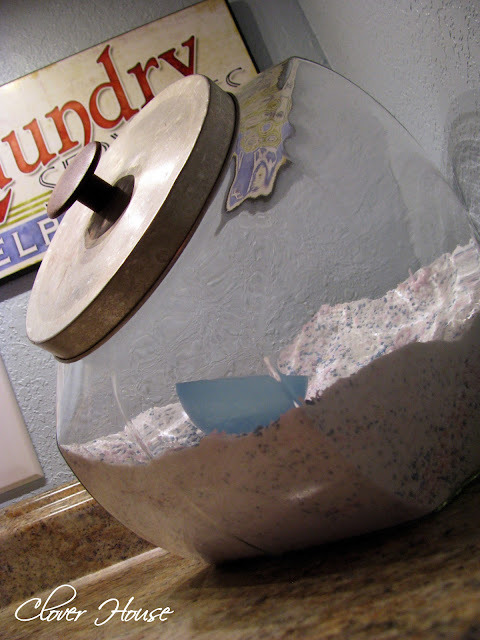 It holds the wonderful homemade laundry soap that we make ourselves and use instead of the spendy store bought kind. You can find the recipe HERE. This little old wash board was my great grandmother's. My Mamaw gave it to me a long time ago. 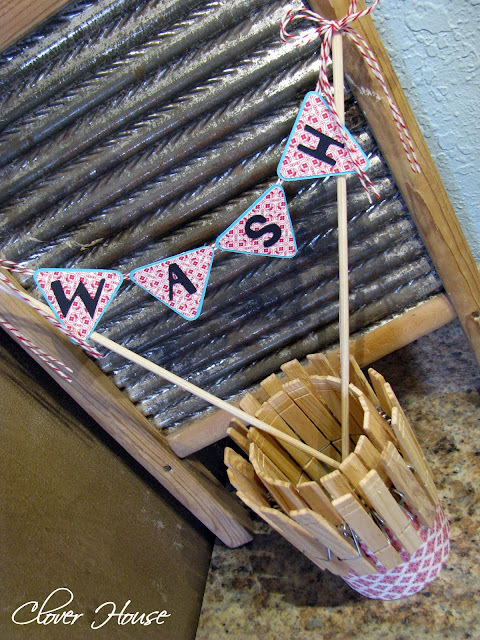 The cute little "wash" banner in front of it was made by me to add cuteness to the laundry room. Join us again next week when I share how I made it. Click HERE to see the how-to. We love antiques and we sometimes buy things not knowing what we will do with them, a few came in handy while decorating our laundry room! Do you love your laundry room? I sure do! If you want to see what else we've done in our laundry room, please visit the links below where I have each project direct linked for you. This is beautiful and wow, your husband made the cabinets!!! It is so much prettier than before. I'd sure love to do my laundry in there, too. Good job! Your laundry room turned out amazing! I love the beadboard. I'll bet you want to do laundry all day long - well almost! Great job - and use of space! 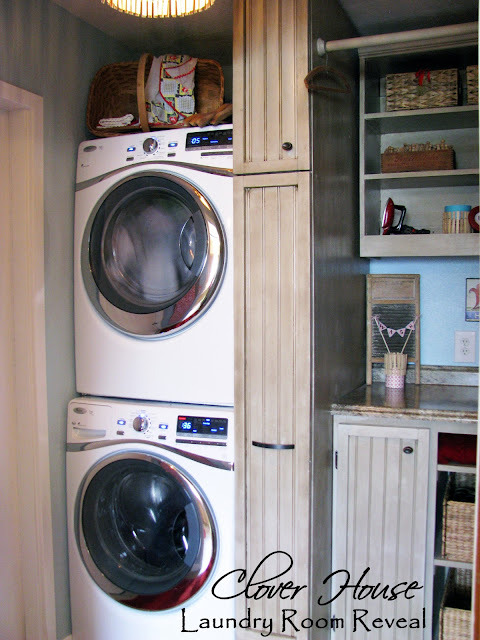 My laundry room is half this size - just enough room for the stacked washer and dryer - and no room for all the cuteness that you have! Wow, that's quite the transformation! The difference is huge! Now following. Can't wait to see what else you do! Stopping in to pin this to my laundry room board. Turned out great. And I love the red you used in your room and on the rug! I love it. You did such a good job. Nice to walk in and focus on the pretty instead of the laundry! Hahaha...yeah we all know and understand laundry! Magnificent job! I love the tall pullout cabinet! You must be thrilled. I know I would be! what a lovely laundry room you have.........Thank you for sharing with the Clever Chicks Blog Hop this week; I hope you’ll join us again! This is lovely -- truly lovely! I love all of the little touches too. Great work! Stopping by from The Dedicated House linky party. You really did a great job in your laundry... By the way, what cleaning tools did you use to clean up your tiles at your laundry room...as I can see at the image its look so dirty...? 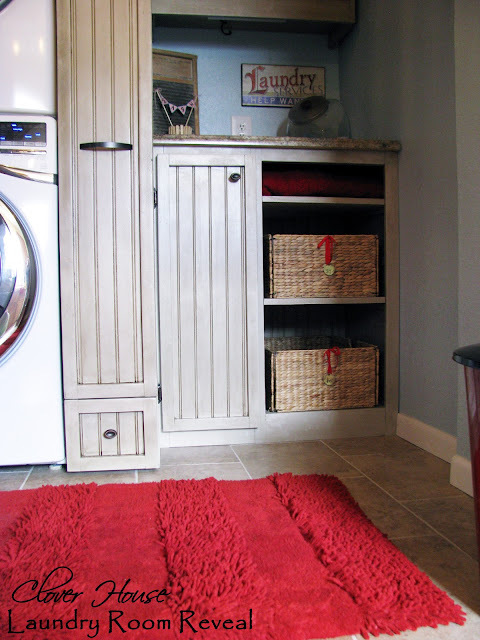 You're laundry room turned out fabulously. This is beautiful! 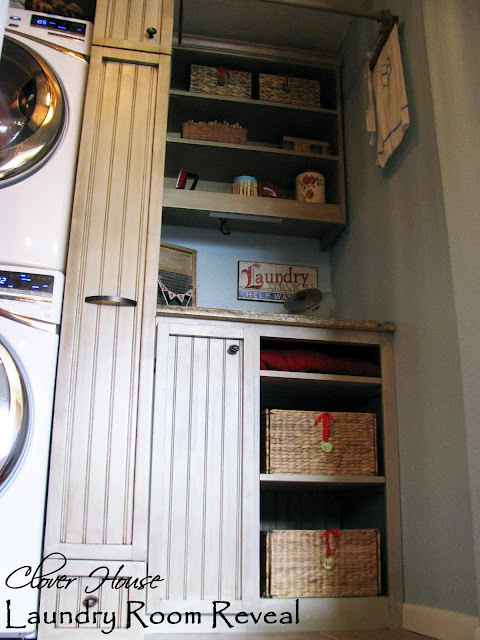 Our laundry room is on our to-do list! I'd love to repurpose our butler pantry into a lovely cabinet for the laundry room! Thanks for sharing!! oy, oh my goodness-that is some before! what a fabulous transformation! Love the wicker baskets. They make everything so easy! It looks so nice! It makes me feel like tackling our laundry area. Thanks for sharing! Such a great space! I love it!!!! I have been working on my mudroom/laundry room and when I was adding it to the party, I had to come see what you had done. It is so great!!! Oh, to be excited to do laundry. :) Lucky you to have such a beautiful space. It's gorgeous! Thanks so much for sharing. Have a wonderful day! Wow, what a difference...looks so nice and cheery! I wouldn't mind doing laundry in there, either. Your laundry rooms looks very lovely. I love the baskets with the old laundry tags, they are so cute. What a great reveal! Beautiful. 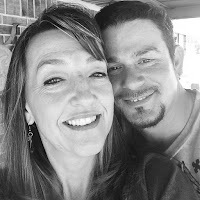 I'd love to have you link this to Titus 2 Tuesday this week on Cornerstone Confessions.. I hope to see you there. Love it! Thanks so much for sharing this on The Creative HomeAcre Hop! Hope to see you tomorrow on the next Creative HomeAcre hop! Very very nice! What an amazing difference! I love your antiques touch, adds alot of personality and character! Congratulations! I'm featuring your post on the Farmhouse Style Blog Hop! Come check it out starting Wednesday, and feel free to grab a button! I Love the new laundry room!! So cute! Thank for sharing at Thursday's Temptation. Your post got the most view so I will featuring at tonights link party! I love it! Great job! Excited to follow your blog! Way to be use your space. I love it!!! It looks great and I like the bead boarding too. Wow, you made such a difference! I love it! OMG! This is exactly what I want to do in my own laundry room. We have overhead cabinets and no counter space. I also have no place in the entire house to store brooms and mops. None. This is great! I pinned it to show my husband! What an amazing transformation. I love your beautiful new laundry room. Thanks for the inspiration.